Do you want to learn Japanese while embarking on a magical adventure? An essential book has just run away from the library of the magic school, and Nami, the librarian, has to go after it. Along the way you will find pages of the book that have been missing, which will allow you to learn Japanese and acquire magical powers. As you enter the depths of the school you will find characters that will speak to you in Japanese. At first they will be just some loose sentences, but as you learn the language, it will be possible to understand more and more each time, and in the end you will be surprised how natural it is. 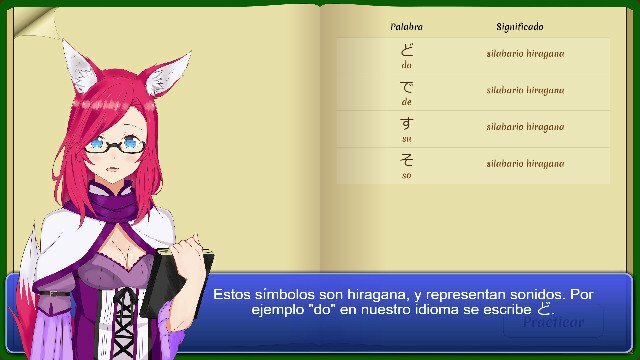 This game aims to teach the noken N5 (basic level) of Japanese, including hiragana, kanjis, grammar and more than 800 Japanese phrases and expressions. And all this will be done in about 20 hours, which is what the game lasts. How do we achieve that? Using a natural learning method, based on conversation. With the exception of Nami, all the characters in the game will address to us in Japanese. But before this happens, we will have studied theory and done some exercises so we can understand everything. At first it will take us some effort, but since the most common words and structures are repeated, the phrases will eventually become more familiar and natural. There is no point in teaching through a game if the game does not motivate us to move forward. Enchanted Tales contains a story full of mysteries and interesting characters whose stories you can reveal. From the history of the ancient people who inhabited the underground, to the motives of two students who also pursue the book and perhaps have to do with his disappearance, passing by a mysterious girl who has appeared at this moment as out of nowhere. And do not forget the book: an important grimoire of ancient times, which was being used by the school headmistress to open a door to a new world. This book has its own conscience, and finding out what happened can be as important as retrieving the book itself. We speak of forces and powers that should not be taken lightly. 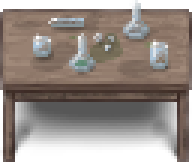 If the crowdfunding goes ahead, the game will be ready in July 2019. Approximately a new level will be developed each month, and when all finished we will start working on porting them to other platforms. And if this game has a good reception I would like to develop a much larger second part where we already play in the same school, being able to meet their students and teachers, attend classes and live adventures as we learn an advanced level of Japanese (noken n2). Exclusive level for honor students that will tell how the story began, and you will play with Hikari and Mei. Hello! I'm Aryadna. 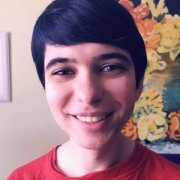 I am a programmer and I have been developing apps and projects to learn Japanese for several years with quite good results. I think there have to be better ways to learn and I'm working on it. 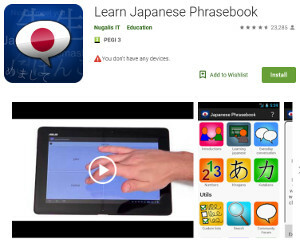 Learn Japanese phrasebook, with more than one million downloads. 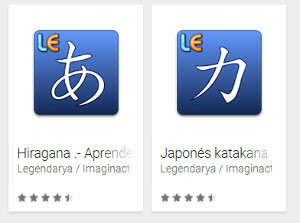 Hiragana - learn Japanese and Japanese katakana, to practice the syllabaries. Nugalis.com: Page where I started several projects, including some to learn through comics and anime. I started with this kind of projects after helping immigrants in my town to learn Spanish. Then I realized that a teacher can't remember everything the student know or fail. We can't adapt to your needs, but a computer can do it. Hence my idea of creating learning assistants that remember where you are wrong, to reinforce that part, and not get bored by insisting on what you already know. During these years I discovered many other things that can be improved to learn. Of how the brain learns by itself, and we just have to give it the information in the right way: related, repeating it in the right moment, using more than one sense (images, sounds,...). This project is very important for me because I hope to put all that into practice and create a tool that will help everyone to learn. If this works I have in mind to launch more games to give more advanced content and teach other languages. Support the development of this video game. You will appear in the credits as a magic skeptic. Access to the web and windows version of the game. You will appear in the credits as "Novice student". Early access: You can play each level as soon as we have it ready. Copies of the game on the platforms where it is available (web, android, windows, ...). App to learn how to draw the kanjis of the game. You will appear in the credits of the game as "Student of the school". 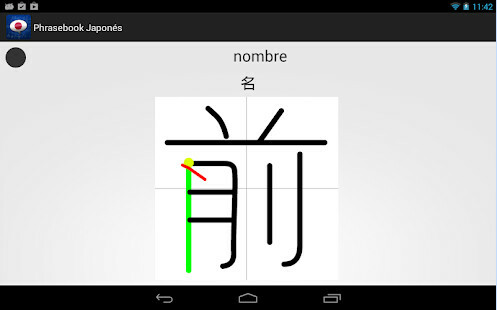 The game, early access, multiplatform copies and app to draw kanjis. Exclusive level that will explain the start of the aventure from the perspective of Hikari and Mei. Pack of contents including the images at maximum resolution and the soundtrack. Participate in the development forum, being able to give ideas and vote on polls. You will appear in the credits between the first positions as "Honor student" of the school of magic. You can sponsor extra content (a melody, a scene, a special effect, ...), to improve the quality of the game. You will have the original version of the music or image created, and the right to edit and share it as you wish. Access to the game with all the extras already mentioned and participate in the development forum. 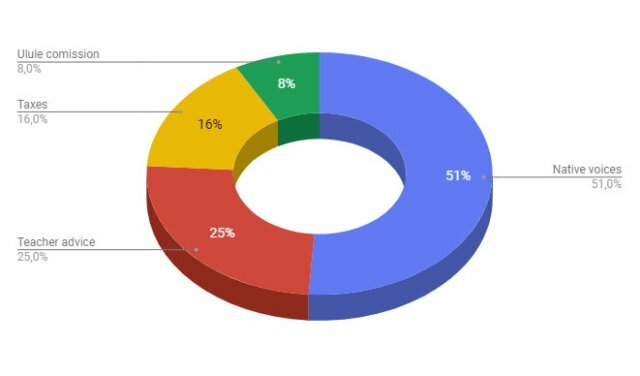 You will appear in the credits before the students and with a drawing of your profile according to your preferences, and where you will indicate with what elements you have contributed. 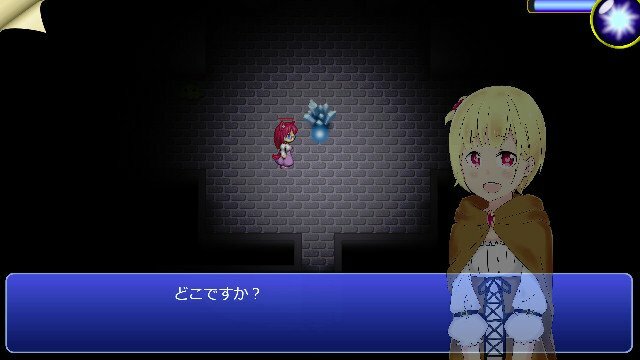 You can propose a character that will appear in the game (adapted to the story). 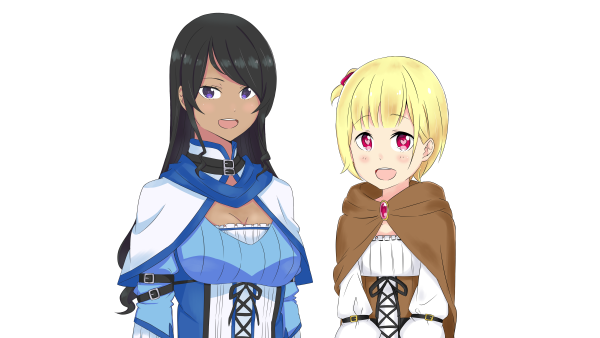 You will appear in the credits in the teachers section and with a profile drawing according to your preferences, and where will be indicated the character you have contributed with to the game. You can propose a whole level of the game, being able to decide what will happen in this one (always adapted to the history of the game). You can also propose a character adapted to the story. You will appear in the credits in the section of directive of the schools and with a drawing of own profile according to your preferences, where it will be displayed the level you have contributed with to the game.